If your Visa gift card is not working, check these Top 12 reasons why gift cards don’t work, decline, won’t activate or you can’t get a balance. Gift card not working? It’s probably one of these reasons. Shop eGift Cards from Visa and Other Top Brands quickly and easily. Visa gift card not working? There are a number of reasons why a gift card may be declined. The most common reasons are that the card hasn’t been activated, the cashier is running the wrong type of transaction, the dollar amount being charged is greater than the card’s balance or the credit card processing machine is bumping up the charge amount to either place a hold on the card or to allow for a gratuity. 1. Has the gift Card Been Activated? 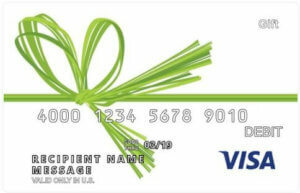 Visa gift cards are linked to bank accounts that generally must be activated in order to receive transactions. Inactive cards will be declined if used for payment because the associated bank accounts are not ready to be used. Think of the hundreds of gift cards found on racks at the grocery store. Until the cards are loaded (or rather the accounts associated with the gift cards are loaded), the plastic has no value. The same is true for Visa gift cards, whether you buy them online or at the store. 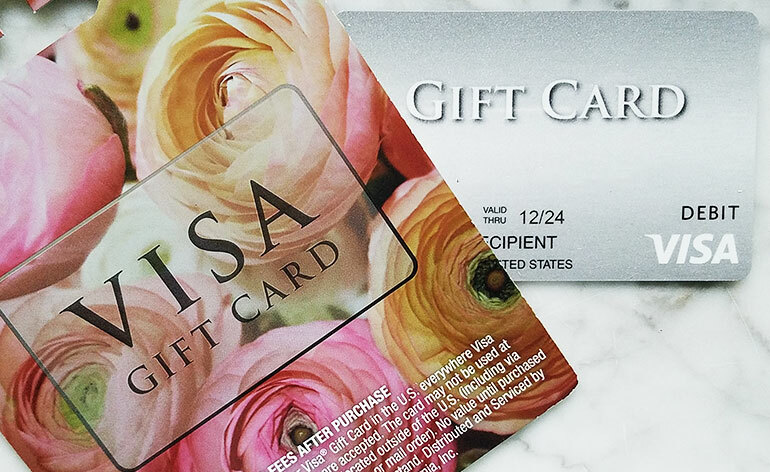 A growing number of Visa gift cards purchased in stores no longer have to be activated as a separate step. When the gift card is loaded with value (purchased), the gift card is automatically activated. For some cards, especially those that are purchased online, you will still need to perform activation separate from the card purchase process. Read the instructions on the back of your gift card or any insert that comes with the gift card to see if activation is required. Read here for more information about Activating Your Gift Card. 2. Is the Gift Card Being Run Correctly? If your gift card is not working or you are not sure how the gift card should be processed, ask the cashier. I find that most cashiers know exactly how to handle each type of payment method presented. Need to check the balance of your gift card? 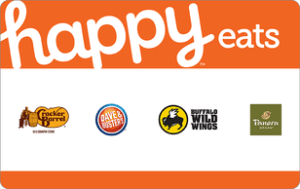 See if your card is in our Gift Card Balance Check Directory. 3. Is the Gift Card Balance More than the Purchase Amount? Visa gift cards are linked to bank accounts that cannot be overdrawn. If the purchase is greater than the funds available, the card may be declined. To use a Visa gift card for partial payment, ask the cashier to split the purchase into two transactions. First, deduct the full amount of the gift card, then pay the balance of the purchase with another form of payment. It used to be that you could not use a Visa gift card to buy anything that cost more than the balance of the gift card, but payment processing terminals are much more sophisticated now. I always make a point to tell the cashier that I’m paying with a gift card and whether or not I believe it will cover the full purchase price. This allows both of us to be prepared for a split-tender transaction–or completing the transaction with a second form of payment. Read here for more information on Split-Tender Transactions. When the gift card balance is less than the transction amount, use this trick to make a partial gift card payment online. Although bank-issued gift cards are generally usable online, in stores, and anywhere that Visa or Mastercard® are accepted, the merchant running the card through the system has more control over how the transaction is processed than the company that issued the card. Older payment processing terminals at restaurants and other service merchants (e.g. salon or spa) may automatically run an authorization transaction of 20 percent more than your total bill to ensure the gift card has enough funds to cover a gratuity. If this dollar value is greater than the card balance, the transaction may decline. Ask the cashier to charge only the bill amount (minus any gratuity) or to reduce the bill amount by 20 percent and retry the transaction. Be prepared to pay the bill difference with another form of payment. 5. Are you Using the Visa Gift Card at a Gas Station? When a Visa gift card is swiped at a gas station pump, the dollar amount of the transaction is unknown. So gas station pumps typically pre-authorize $75 or more on the card swiped. If the pre-authorization amount is greater than the card’s value, the transaction may be declined. To avoid having this hold placed on your gift card, pay inside. Tell the attendant to only charge the amount you specify. Here is more information on how to pay for gas with a gift card. 6. Are you Using the Visa Gift Card at a Hotel? Hotels often ask for a card during the check-in process, as a precaution, to cover incidental charges such as using the telephone, eating something out of the mini-bar, ordering room service or charging a meal to your room. When giving a card, the hotel may automatically place a hold on the card for the estimated amount of the stay, plus up to 30 percent for those incidentals. If the hold amount is greater than the balance of your gift card funds, then this pre-authorization amount may decline. To avoid having a hold placed on your gift card, use a credit card when checking into the hotel, but tell the clerk you’d like to pay the final bill with your gift card. 7. Are you Using the Visa Gift Card for a Car Rental? Many car rental companies require a credit card to make a reservation. To pay with a gift card, instead, make the reservation with a credit card but tell the attendant you will pay the final car rental bill with a gift card. Otherwise, you may be able to make the reservation but the hold on your card will prevent the final transaction from being approved. 8. Are you Using the Visa Gift Card Online? If you have a problem using your gift card for online or telephone purchases, the most likely reason is that the merchant’s fraud screening process is matching the billing information entered at checkout with the billing information on your gift card account. If the addresses don’t match, the card may decline. This is often the case when the Visa gift card is purchased at a grocery store or some place that doesn’t require you to put a name and address on the physical card. To solve this problem, register your card with the issuing bank making sure the name and address linked to the account are current. If you’re not sure how to do that, look at the back of your gift card. You should find a website address or a telephone number to call for customer service. At GiftCards.com, for example, you can enter a name and address when you activate your gift card. Other companies require you call the telephone number on the back of the card to do the same thing. Please Note: Sometimes consumers mistakenly think that they can register Visa gift cards on any Visa gift card site. This is not the case. 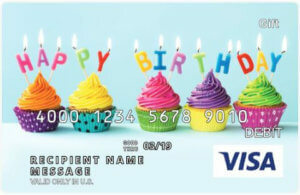 You must register your Visa gift card with the company that issued the card. Check the back of the gift card to find out what company issued your gift card. 9. Is the Online Merchant Treating the Card like Cash? Most Visa gift cards may not be used to obtain cash. However, some online merchants process bank-issued gift cards as a cash payment. As a result, the gift card issuer, who is prohibited by law from allowing recipients to get cash back from a gift card, must decline the purchase. This happens frequently with incoming transactions from PayPal, occasionally with eBay purchases, and even sometimes at Amazon.com. If your address is correct, the balance is enough to complete the transaction and you’re still getting a decline result from an online merchant, call the gift card issuer to find out if the merchant is attempting to run the transactions as a cash purchase. 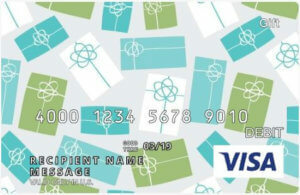 Read here for more information on Problems using a Visa gift card ONLINE. 10. Are you Trying to Make an International Purchase? If your Visa gift card is not working, check to see where the website is located. I know that might seem strange, but Visa gift cards issued in the United States must be used in the United States. Visa gift cards may not be used for purchases outside of the U.S. and that includes purchases on non-U.S. websites or by telephone. Although Visa gift cards may not be used outside of the country, here is a list of gift cards that can be used in Canada and other countries. 11. Is there a Waiting Period on Your Card? Some gift card sellers will not allow gift cards purchased at the store to work for a specified time period–generally 24-48 hours. If your Visa gift card is not working, the card may have a time restriction on it. To find out, look at the receipt and the terms and conditions on the card. You should see a notification on the card itself or on your receipt. The waiting period or time delay is a fraud protection measure to ensure that the gift card has not been purchased with a stolen credit card. When the purchase transaction is validated, the gift card will be activated. If the system is not automated like this, then the waiting period helps ensure gift cards have not been purchased fraudulently. If your gift card is not working, check to see if your receipt or the card mentions a grace period between purchase and activation. 12. Have you Tried Using the Card at Another Store or Website? A few years ago, my son received a gift card for his birthday. We tried to activate the card online, but the system said the card number was invalid. We tried to activate and check the balance by phone, but we got the same response. I even called customer service. The woman I spoke to said the card number was so old, she no longer could access it with her system. Figuring we were out of luck, we tossed the card on the counter and gave up. A few weeks later, however, it occurred to me that we should just try using the card. The next time I had a purchase to make online, I entered the gift card number he had received. It worked! I do not know why the balance check system didn’t work, but we were able to use the card both online and in a store. So when all else fails, I now advise people to simply try using the card. Sometimes the support systems fail, but the card will still work. If you’ve checked all of these things and your Visa gift card is not working, then call the telephone number or check the website typically listed on the back of the card. You will need to contact the issuing company to find out exactly why your card isn’t working. And one other thing. At GiftCards.com, transactions for online gambling sites, adult websites, money transfer services, PayPal and recurring bill payment will be declined. Check the terms and conditions on your Visa gift card to see if other restrictions apply. Read here for another perspective on why a Visa gift card doesn’t work. Need other gift card help? Add a comment below or reach out to me on Twitter @GCGirlfriend. How can Visa eGift Cards be Used for Partial Payment?